Delta State Peoples Democratic Party Deputy Chairman, Barr. Ada Val Arenyeka has advised strong contender for Warri South Constituency 2 Seat in Delta State House of Assembly in the 2019 polls, Mr. Matthew Poko Opuoru to do proper "homework" on delegates ahead of the forthcoming PDP primaries, saying he will become the party property if he emerges as candidate. Barr. Arenyeka who described Mr. Opuoru as "a goal-getter" and"very good product to market", averred that the House of Assembly hopeful "is qualified for the position". The PDP leader made the declaration Saturday July 7 at his Warri residence when he played host to Mr. Matthew Poko Opuoru and tens of his supporters. Mr. Opuoru who spoke earlier, recalled how Barr. Arenyeka supported him when he first contested for the Warri South Constituency 2 Seat in 2011 and stressed that he came to seek the support of Barr. Arenyeka in his legislative ambition. 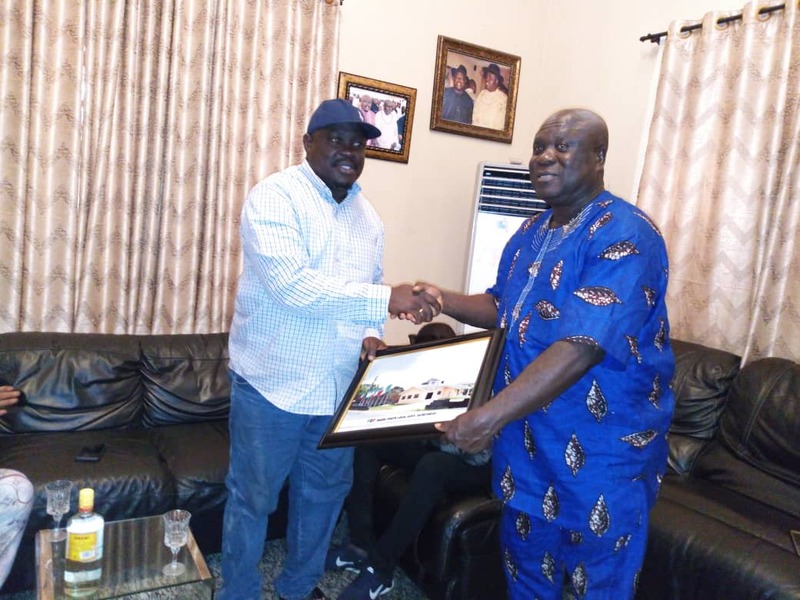 The House of Assembly front-runner who is currently Senior Special Assistant to Governor Ifeanyi Okowa on Political Matters, noted, "i didn't discriminate as commissioner in DESOPADEC between Urhobo and Itsekiri and will do same when I get to the House of Assembly". While emphasising that he's very focused amid "talks", the Governor's Aide enumerated some of his contributions to the growth of PDP, including the renovation of the party secretariat in Warri South Local Government Area.